It is vital for all employers and employees in organisations to be aware of work, health and safety duties and responsibilities in order to create a safe workplace. 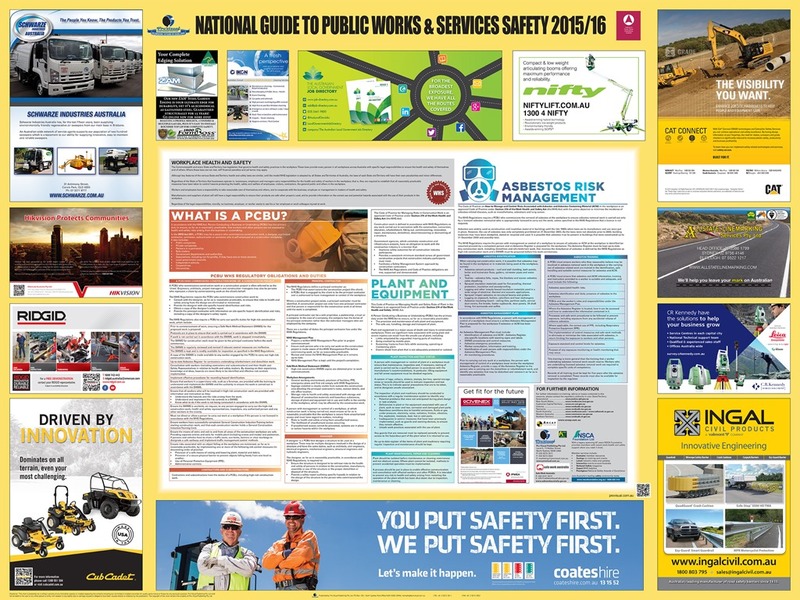 Due to this, Pro-Visual Publishing, in collaboration with the Institute of Public Works Engineering Australia, has released their 2015/16 edition of the National Guide to Public Works and Services Safety. This guide will ensure that all industry members will have easily accessible and up-to-date WHS information about the Public Works and Services Industry. What is a PCBU? According to WHS regulations, a Person Conducting a Business or Undertaking (PCBU) has the duty to ensure that workers and other persons are not exposed to health and safety risks from the business or undertaking. Additionally, a PCBU has the responsibility to ensure that plant and equipment are safe and maintained. This will help minimise risks associated with using plant and equipment on site. Is there an adequate Asbestos Management Plan implemented? It is well known that long exposure to asbestos can have long-term effects on the human body. In some cases, workers in construction may come across asbestos or Asbestos Containing Material (ACM). In these events, an Asbestos Management Plan will assist in managing the exposure of asbestos to workers and other persons. “I would like to thank all of the sponsors of the National Guide to Public Works and Services Safety 2015/16. Their support has made it possible for the Guide to be distributed free of charge” – John Hutchings, CEO, Pro-Visual Publishing.